? 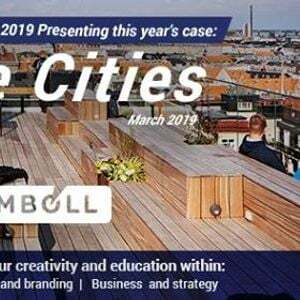 ?We are happy to announce Ramboll as our 2019 case name ?? B1: How can smart mobility solutions make Aalborg a more attractive city for citizens and businesses? B2: What initiatives can help unemployed graduates in Aalborg obtain a job or contribute in other ways to value creation in Northern Jutland? And how can you document the effect of these initiatives? B3: How can Aalborg brand and market the city as an attractive place for companies and businesses? Please note that the above questions will be presented in-depth on the case days. This is a unique opportunity for you as a student to improve your resume, skills, network, gain insight about Ramboll and have fun! 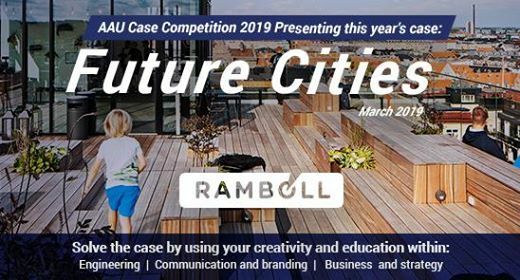 The cases are not limited to any educations, so everyone is welcome to apply for AAU Case Competition 2019! By participating you will use your creativity and ideas to solve a case for one of the most attractive future workplaces in Denmark. You will work in a team of 3-4, however, you can sign up as an individual, in pairs or bring your own team together! - It is free to participate and food/drinks are provided ?? - The Prize pool is 21.000 DKK ?? - Compete to reach the finals and make your presentation at Musikkens Hus march 7.